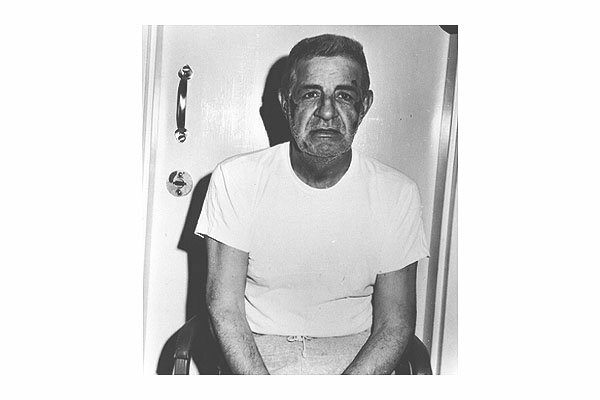 The first Mafia member to publicly turn against his gangland cohorts, Joseph Valachi is pictured here in a jailhouse photograph taken in Texas's La Tuna Prison. He died there of a heart attack in 1971. Submitted by GeorgeDubyaBush on Wed, 2010-09-29 21:25. The original snitch. I read a book called "The Valachi Papers" that really broke it down. Rat.